Ronald Martinez/Getty ImagesTony Parker claims his injury was ‘a hundred times worse’ than the one Kawhi Leonard is currently still recovering from. The drama between Kawhi Leonard and the San Antonio Spurs took another turn on Friday as the team continues its playoff push. 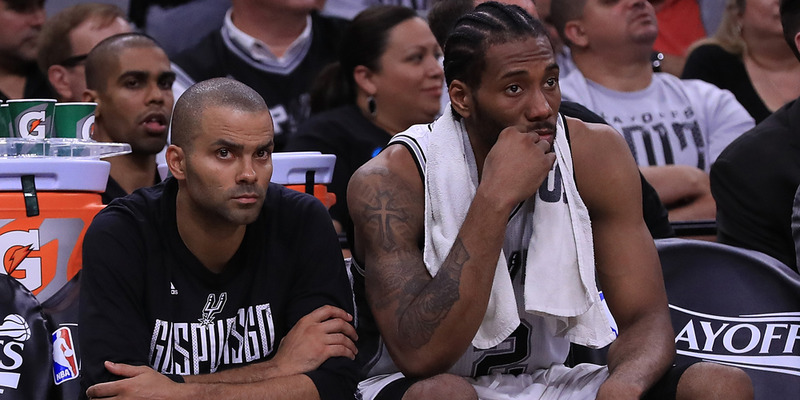 This time, it was Spurs veteran Tony Parker chiming in, taking a thinly-veiled shot at Leonard for his refusal to come back to the court and apparent mistrust of team doctors. The Spurs are currently in sixth place in the Western Conference, but just three games clear of being eliminated from playoff contention, and have a brutal schedule to finish out the season. The San Antonio Spurs saga of locker room drama took another turn on Friday after Tony Parker made comments that can be read as a shot at still-sidelined teammate Kawhi Leonard. The team reportedly held a players-only meeting last Saturday to convince Leonard to come back to the court that was described as “tense and emotional” at times. Now, Spurs veteran Tony Parker is making his shots at Leonard more public. Leonard has played in just nine games this season but had reportedly been set to return to the team back in February. As Parker implies, it’s some second opinions that Leonard apparently hears from that is keeping him off the court. The Spurs are in a tight spot without their superstar. Coming into the season they had surpassed 50 wins for 18 consecutive seasons, but currently sitting at 42-30, they will have to go 8-2 over their final ten games to keep the streak alive. Additionally, San Antonio will need to keep up a hot pace if they wish to stay in the Western Conference playoff race. While they are currently sixth in the conference, they are just three games clear of missing the postseason. Seven of their final ten games come against playoff teams.